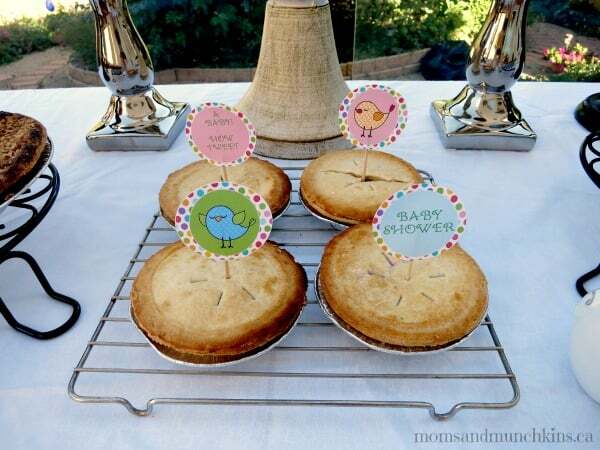 One of our most popular posts on Moms & Munchkins is a collection of Free Printable Baby Shower Games so I know there must be a lot of baby shower planning going on out there! 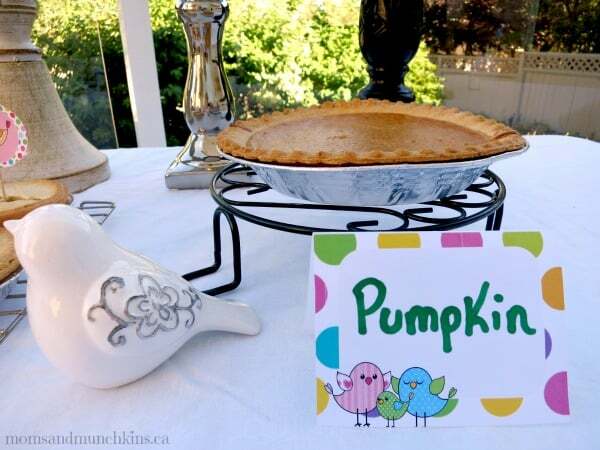 I love sweet & cute themes plus a variety of delicious desserts certainly doesn’t hurt either, right? 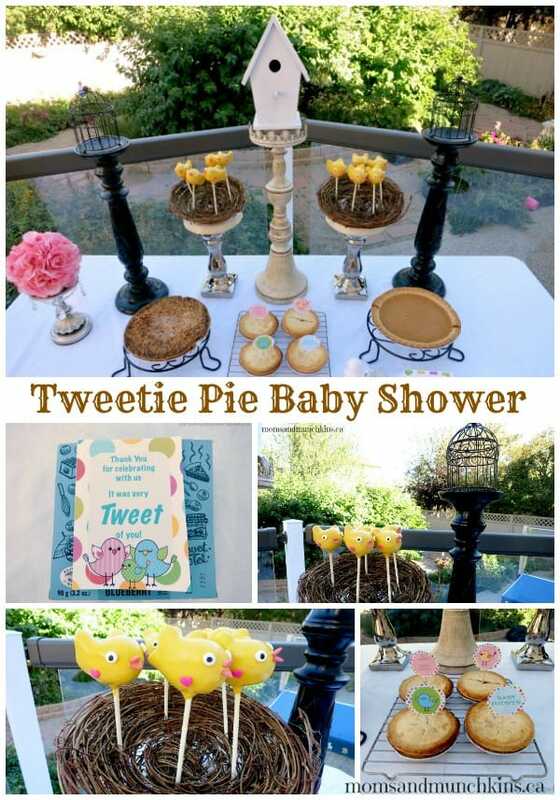 This Tweetie Pie baby shower theme has all of those things in one sweet (or should I say “tweet”) party. 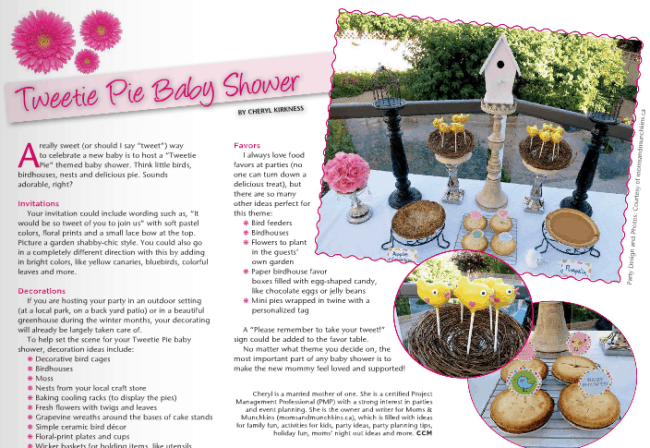 I’m excited to announce that this party was featured in Calgary’s Child Magazine. View the magazine article online for more fun details! For invitations, think spring meets shabby chic with soft pastel colors, floral prints and lace. 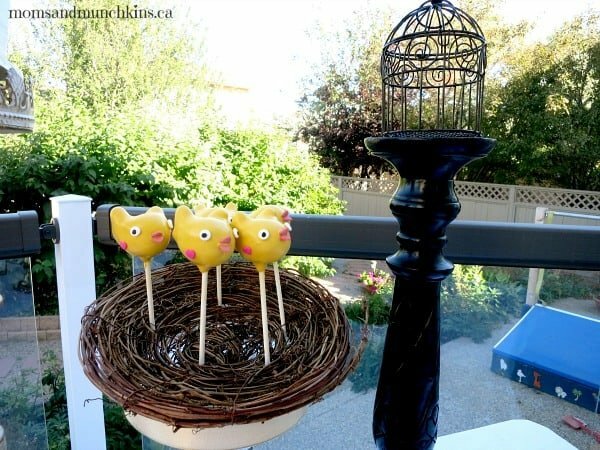 For a more bright and bold baby shower, you could do bright tropical birds with an island twist…perhaps some non-alcoholic pina coladas? Think of what your mommy-to-be likes and plan a party working in her tastes. I love outdoor parties but the weather (especially here in Canada) doesn’t always cooperate. If you can plan an outdoor party, a local park or backyard patio would be perfect. For colder days, check with your local greenhouse for prices for private events. Have a cute picture of mommy & daddy-to-be? Frame this for your table with the caption “love birds”. 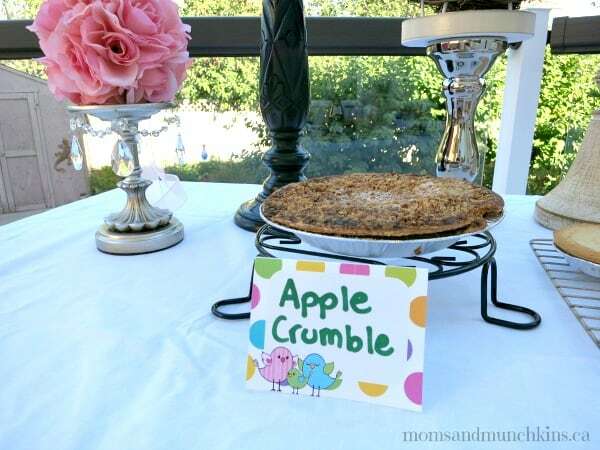 A Tweetie Pie party wouldn’t be complete without pie! 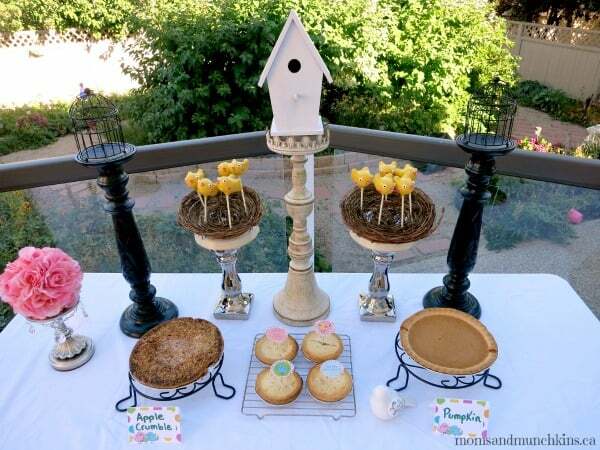 You can get creative here with mini pies, pies on sticks, family-favorite pie recipes, tropical selections (key lime pie), frozen pies, and comfort foods like pumpkin pie. My tummy is growling now. 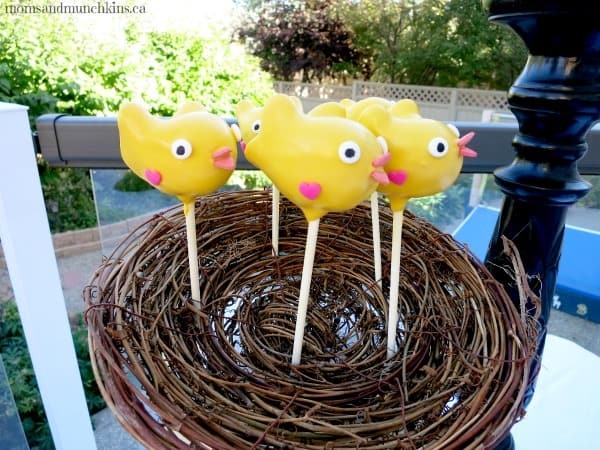 I absolutely love these birdie cake pops created by Celebrations Cake Pops. 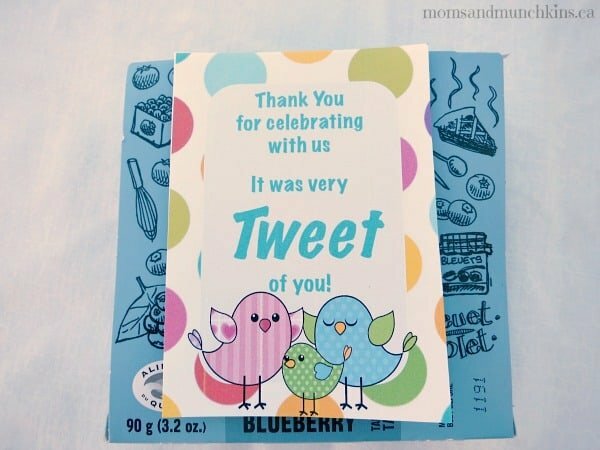 Thank you to Nicole of Party of Five – Party Printables for making the cute printable designs for us. 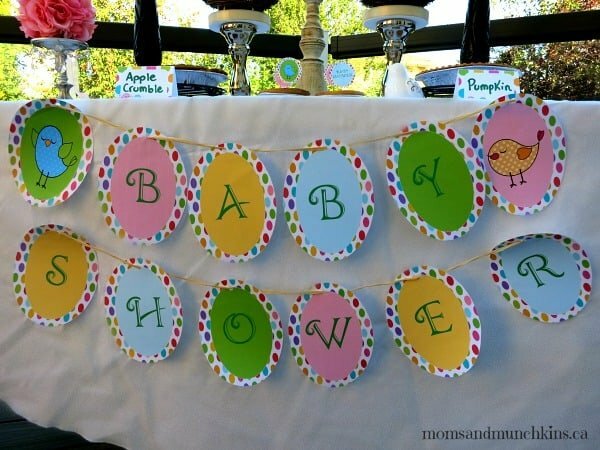 Visit our Baby Shower page for even more fun theme ideas, food ideas, free printable games and more!